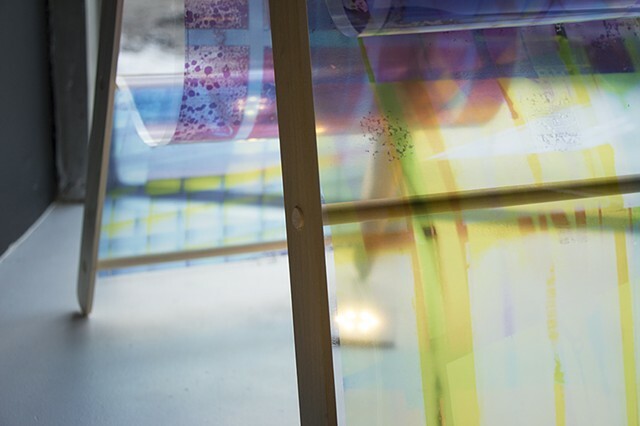 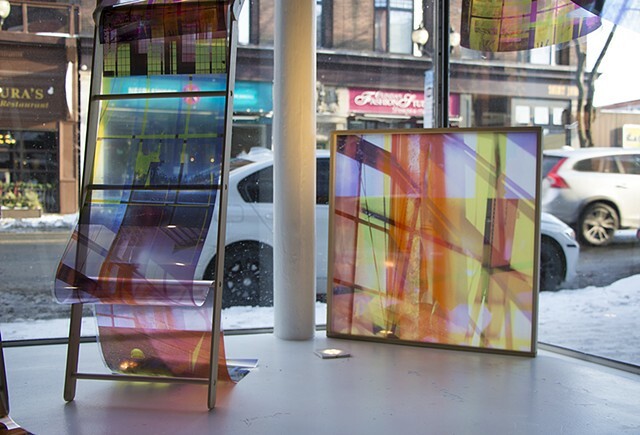 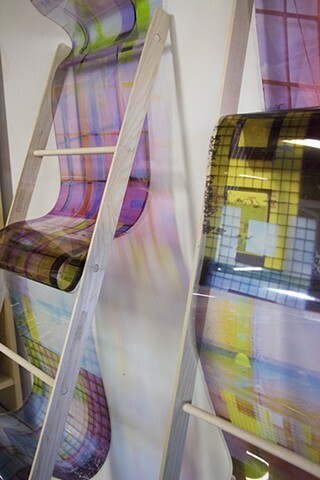 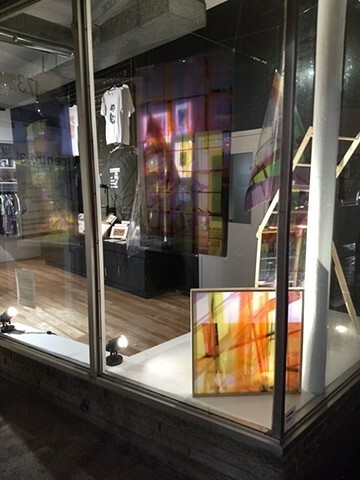 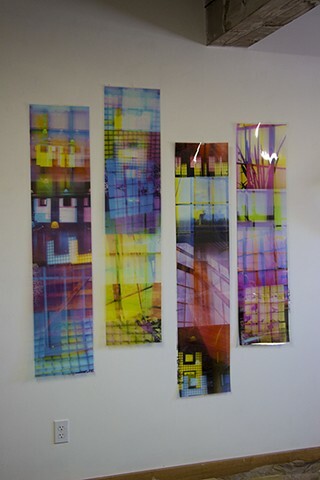 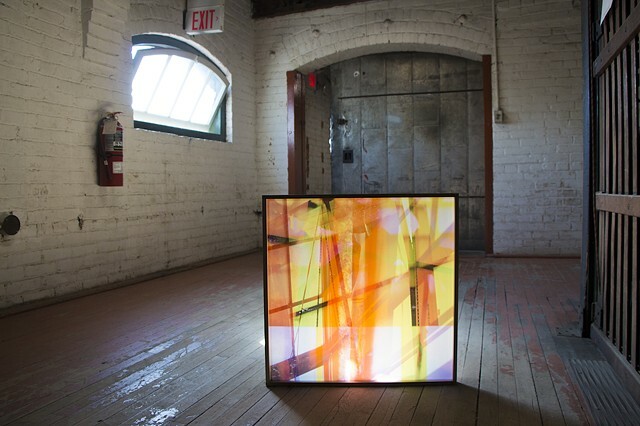 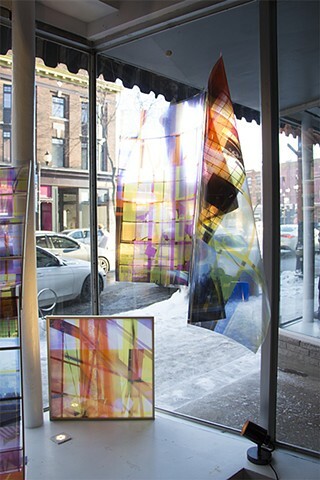 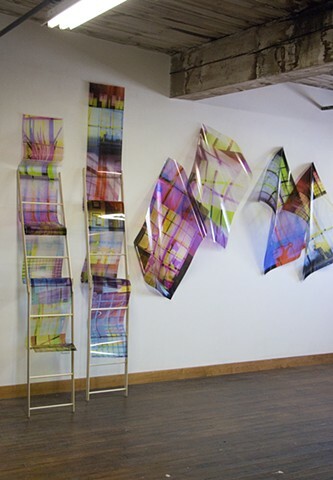 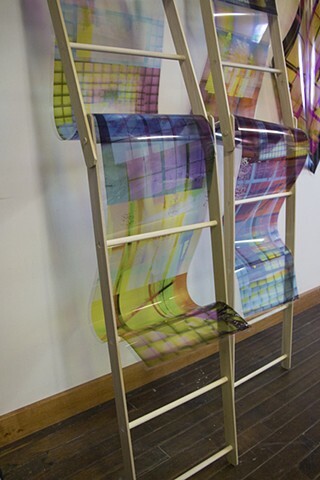 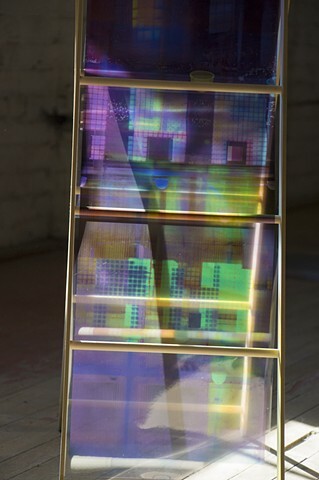 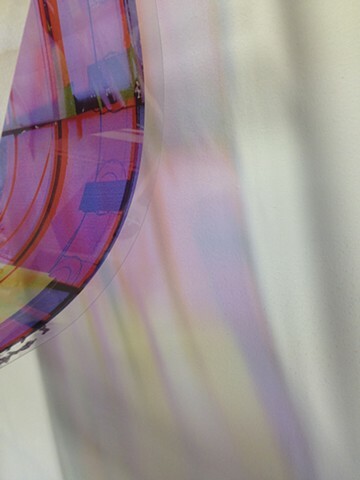 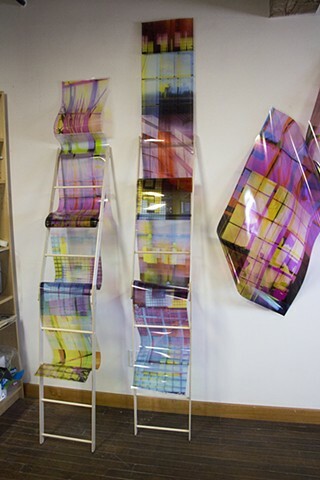 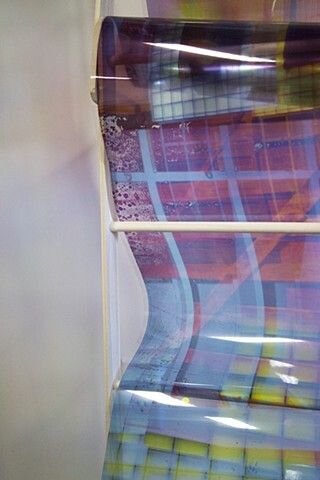 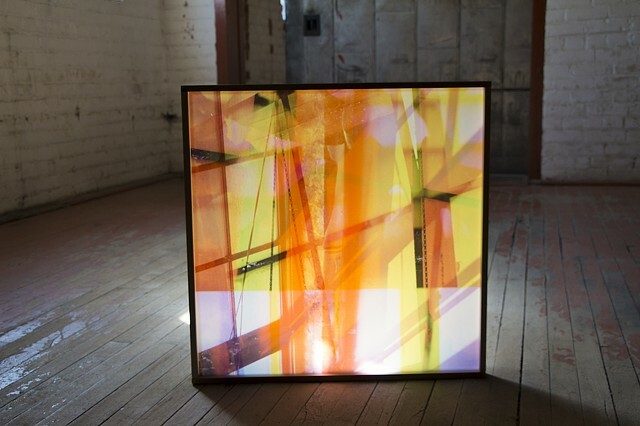 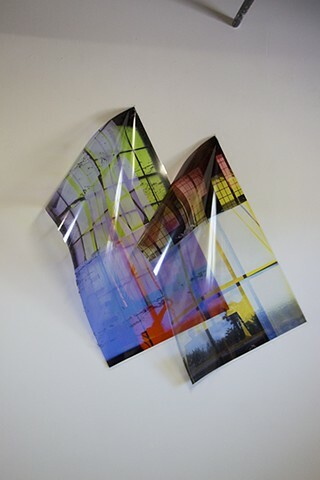 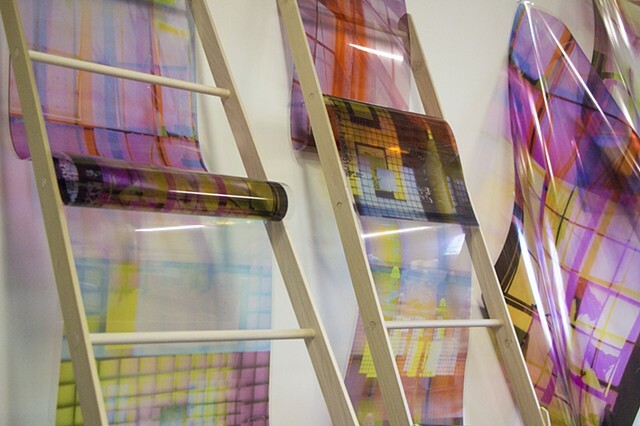 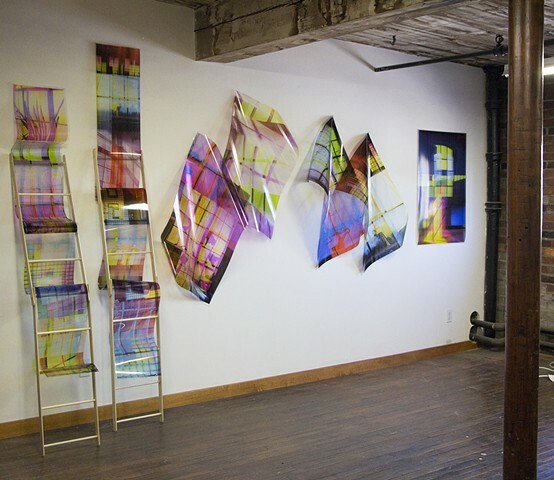 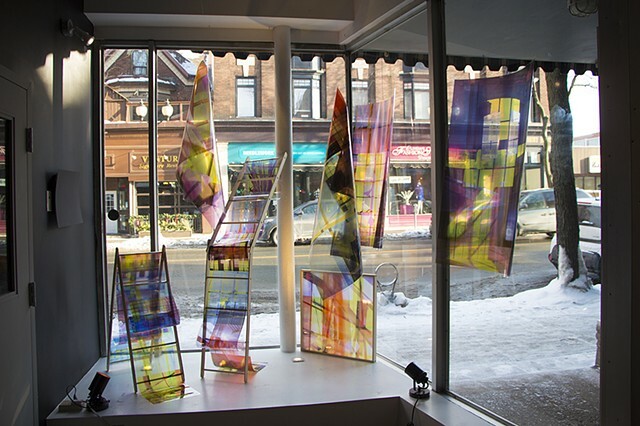 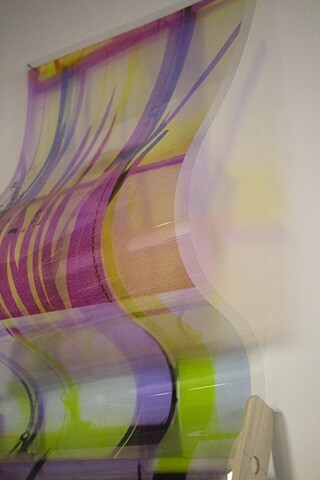 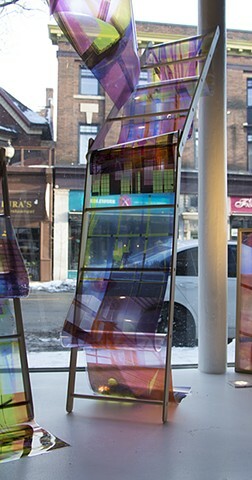 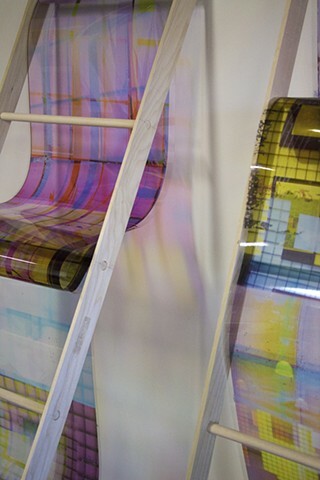 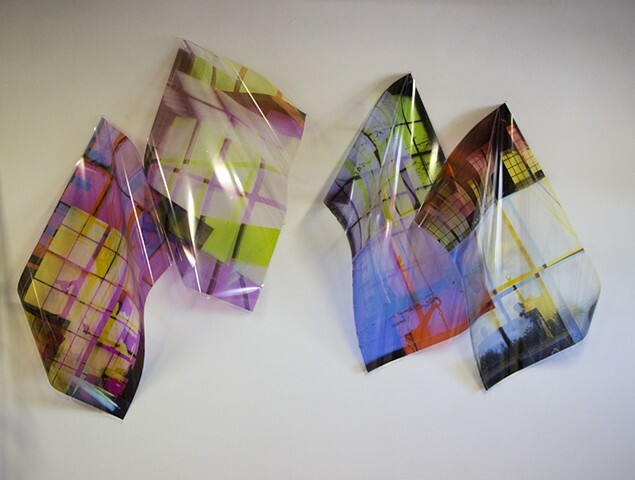 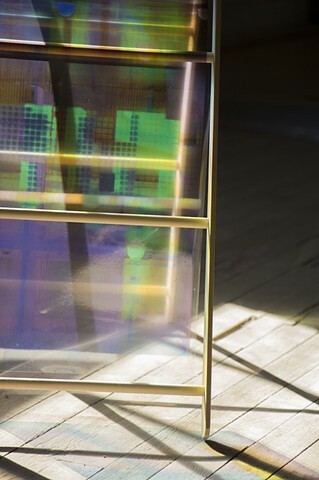 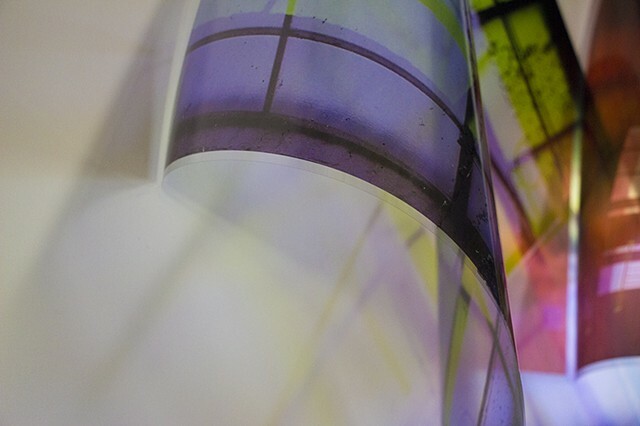 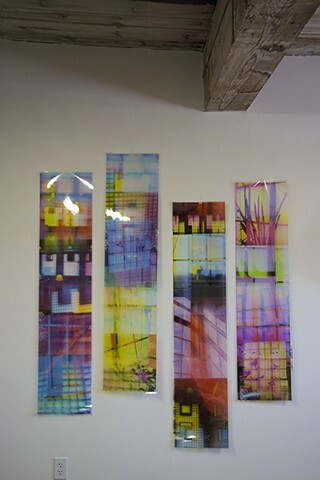 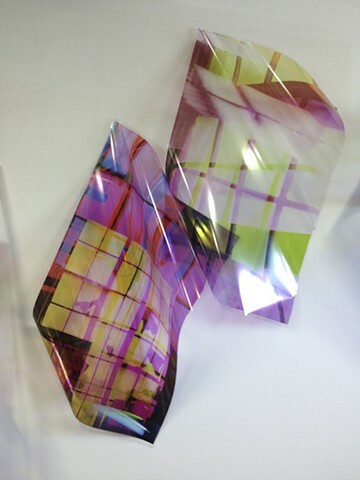 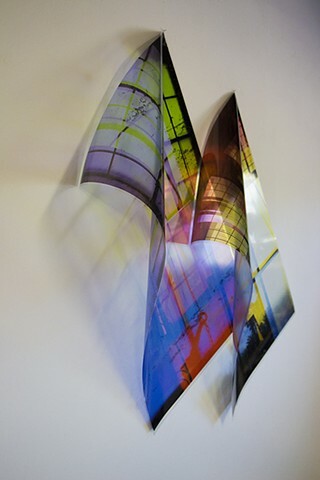 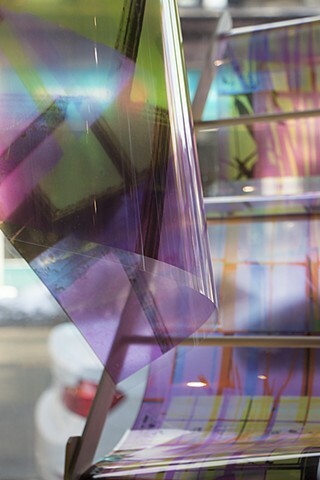 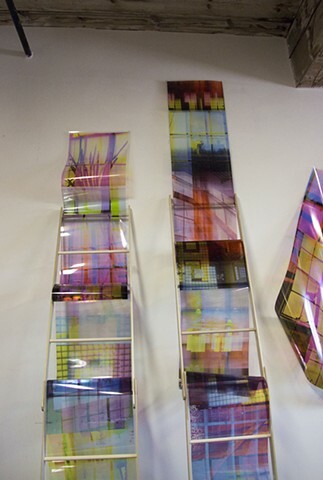 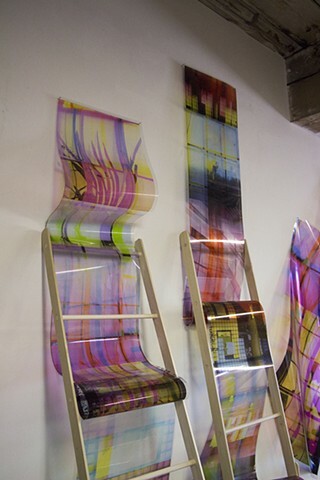 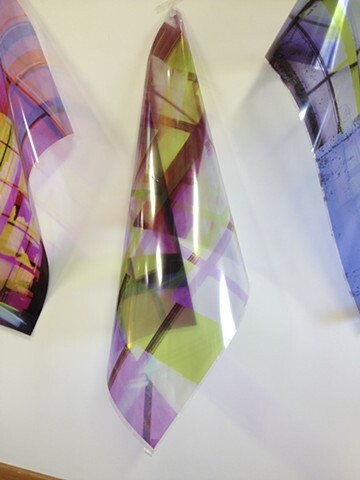 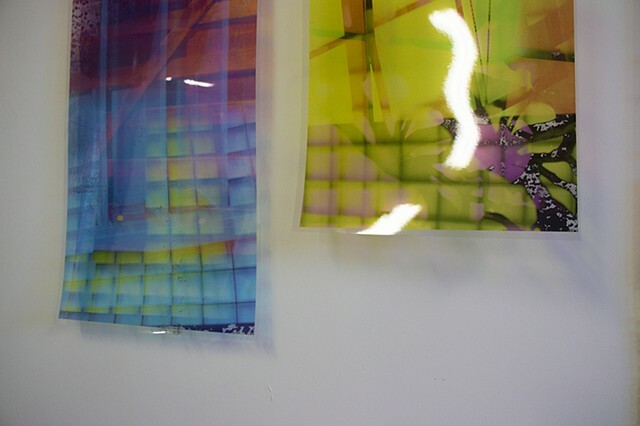 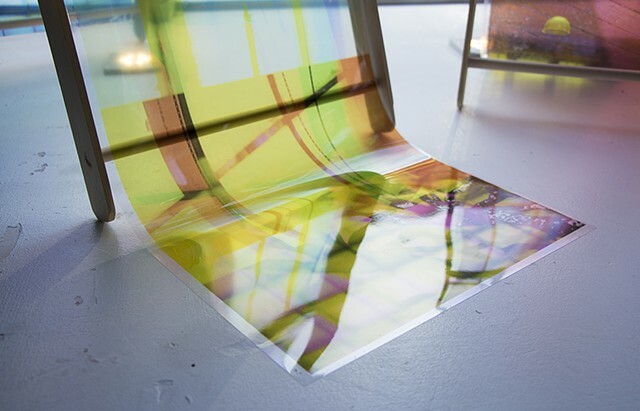 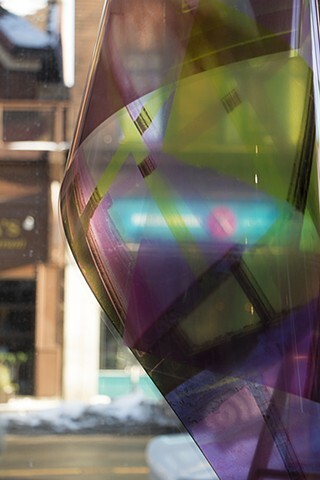 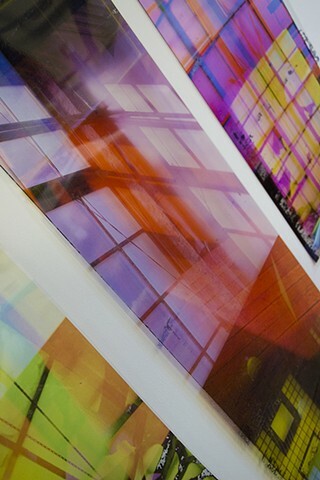 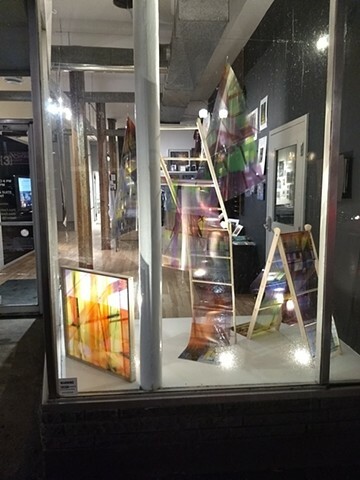 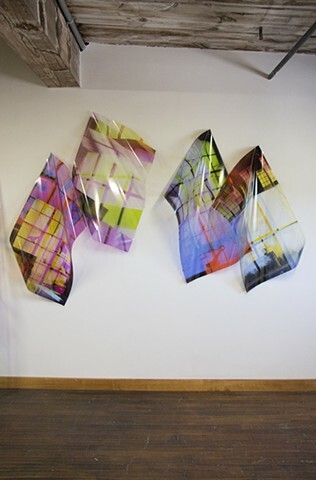 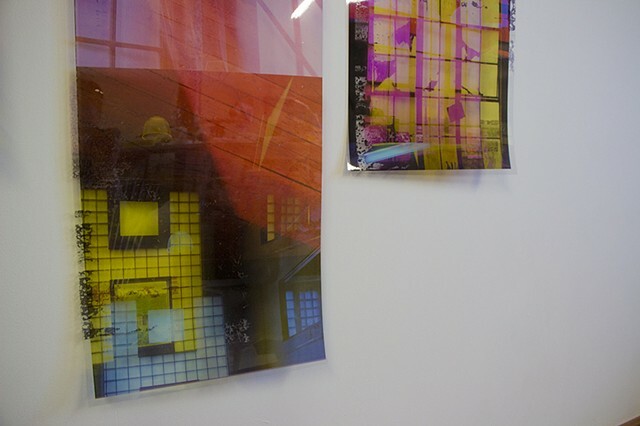 Layered Giclee prints on transparent film, plexiglass, poplar, sunlight. 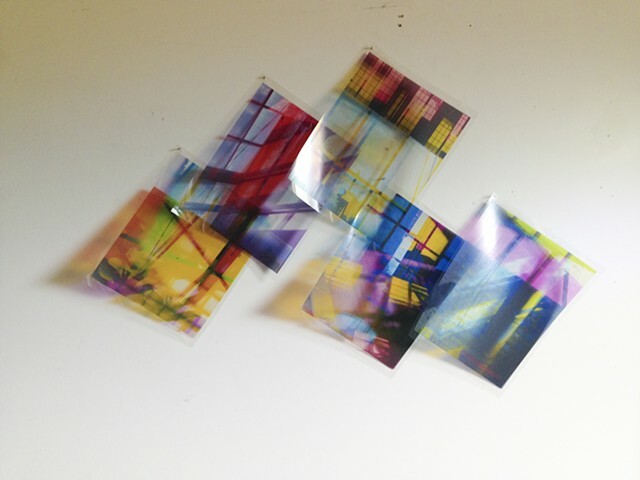 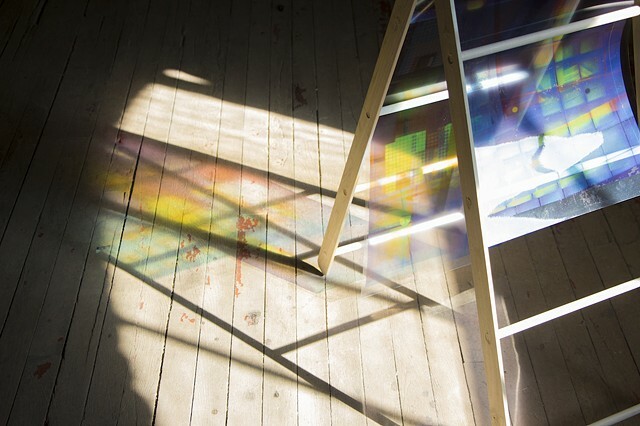 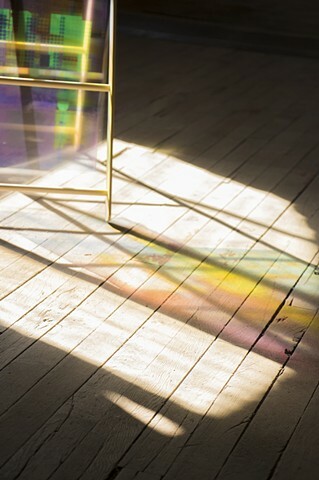 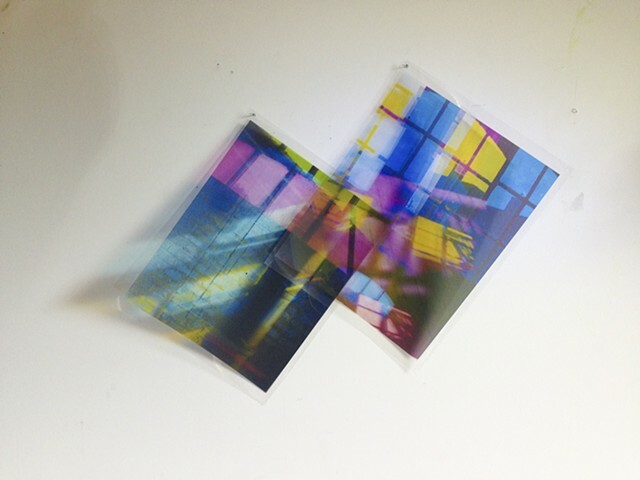 Giclee prints on transparent film, sunlight. 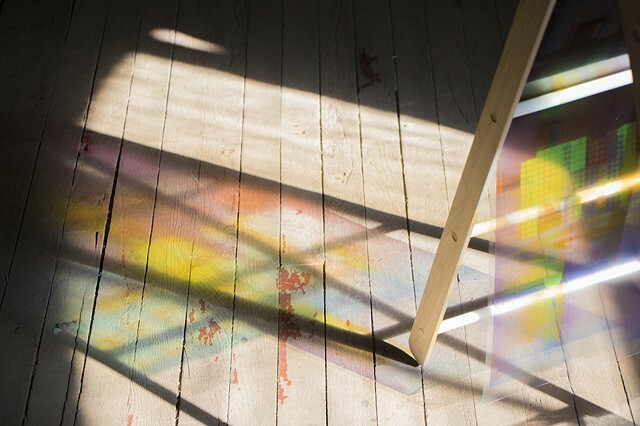 Giclee print on transparent film, sunlight. 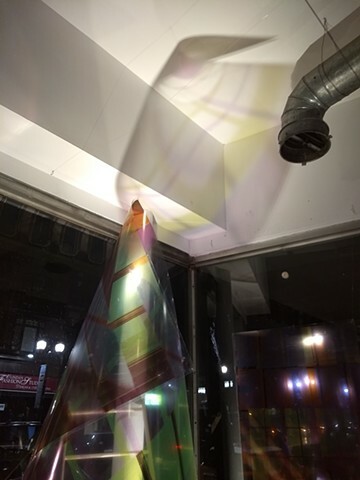 A slight breeze, or a sudden gust of wind. 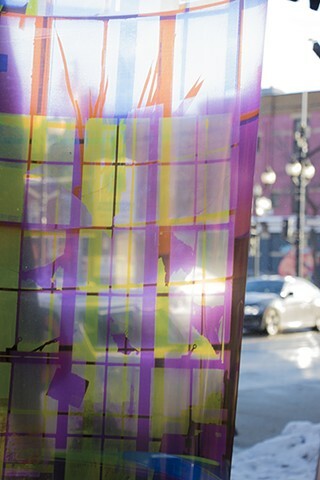 Giclee print on transparent film, sunlight, wind. 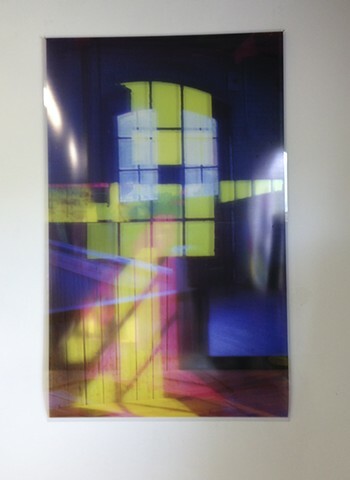 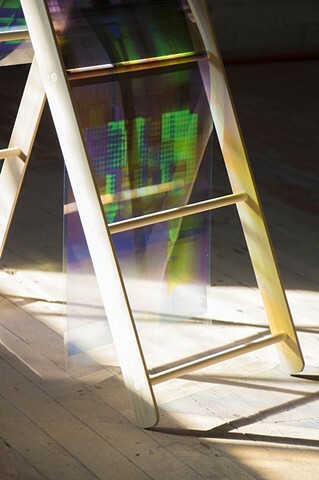 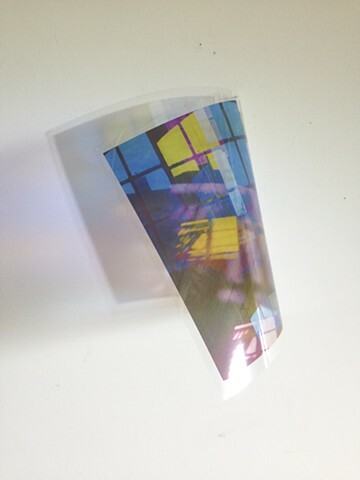 Giclee prints on transparent film, poplar, sunlight. 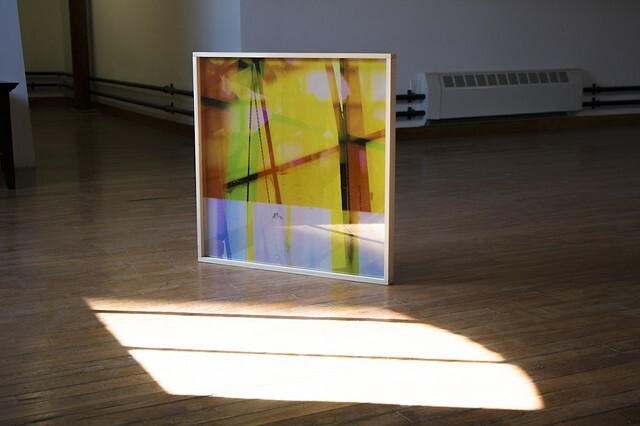 Giclee print on transparent film, sunlight, poplar. 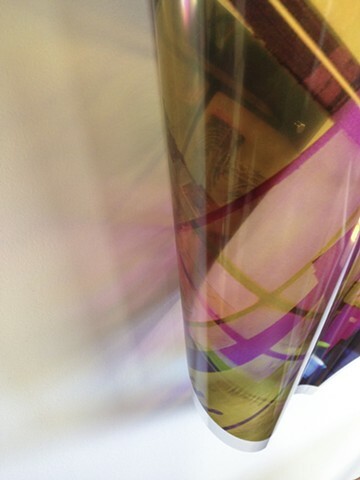 Giclee prints on transparent film, sunlight, poplar..
Giclee prints on transparent film, sunlight, poplar. 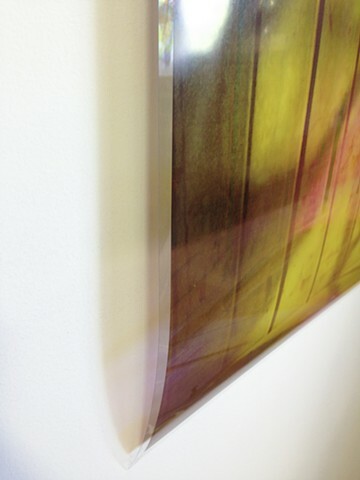 Giclee prints on transparent film, sunlight, poplar. . 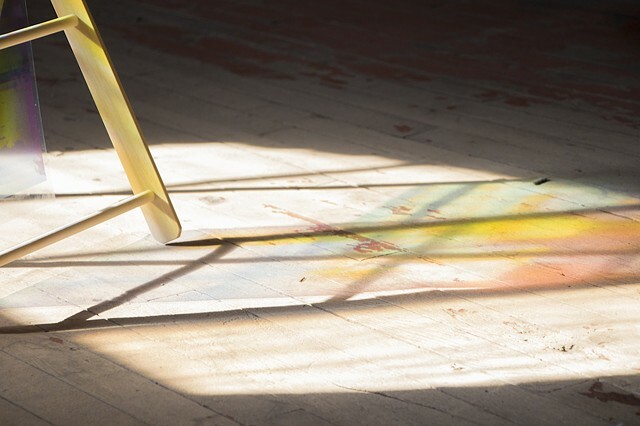 The Sun's Rays Do Not Burn Until Brought To A Focus is a body of photographic objects that explore light, space, memory, fragility, and the history of photography. 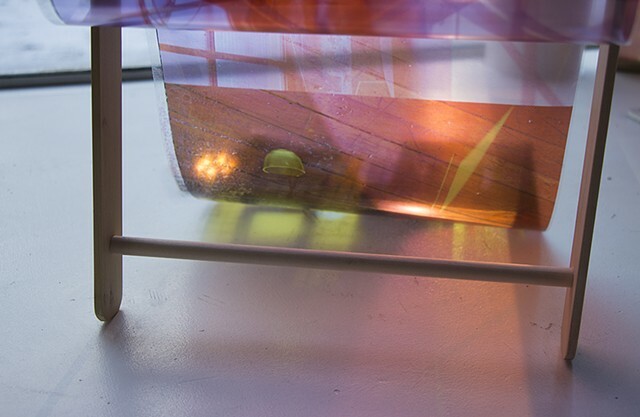 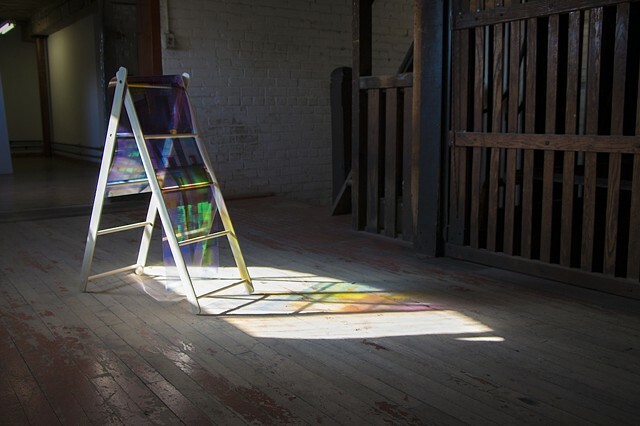 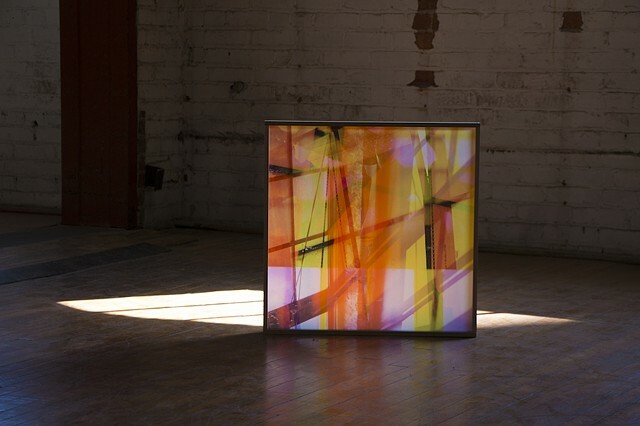 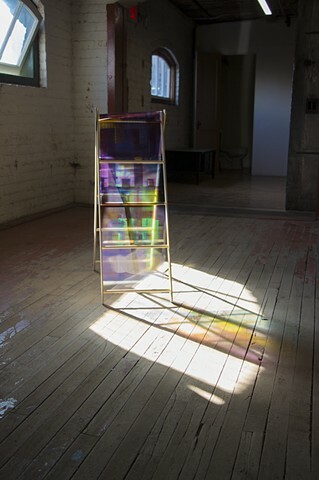 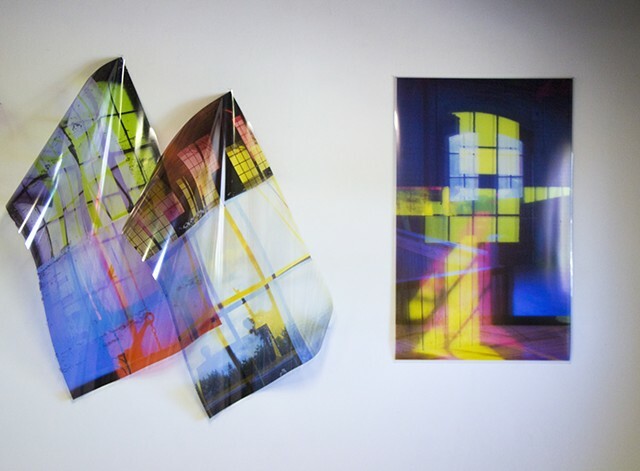 Using medium format film, transparent film, plexiglass, and other fragile materials, I attempt to explore light and space as it relates to memory, perception, and viewer experience. 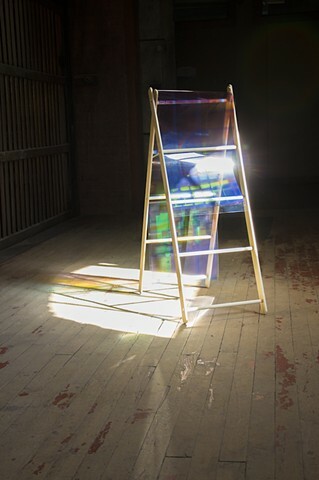 Drawing upon fiction and literature references on memory and light, this work considers the poetic metaphors of light as emotional and psychological indicators of space and time. 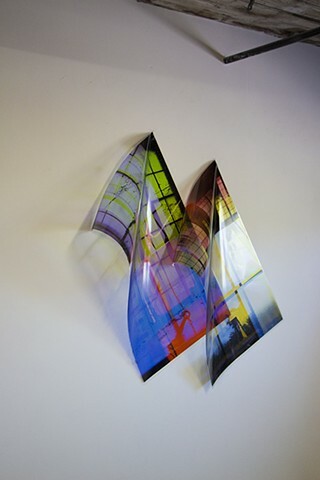 Photographs appear to float and sway, bend and curl, reflect and absorb light, and rest somewhere in-between motion and stasis, presence and absence, material and immaterial. 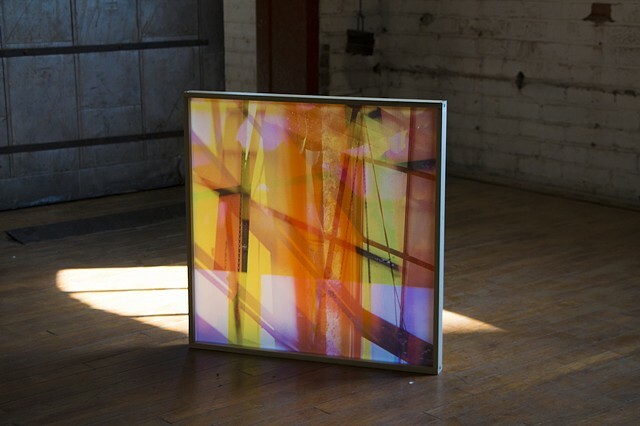 Vulnerable to dust and scratches, light and humidity, air and moisture, these works continually change within their environments; offering a temporal experience of photography for the viewer. 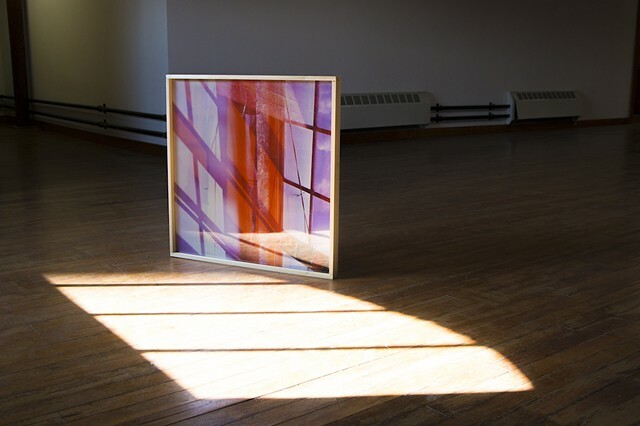 As the sun moves across the sky, or a sudden gust of wind sweeps the photographs aside, each work is animated with their own ephemeral rhythm.